Clinic Synopsis: The double bass is a mysterious instrument for non-bassists. Strategies that work for other instrumentalists frequently don’t work for the bass section. The ideal fix for a musical problem might be as simple as getting fresh rosin or experiment with a new tuning procedure. This clinic explores fixes for problems that directors most frequently encounter with their bass sections. 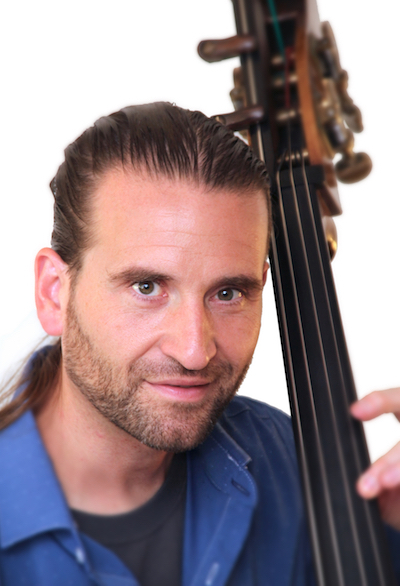 Clinician Biographical Information Jason Heath is the host of Contrabass Conversations, a podcast devoted to exploring music and ideas associated with the double bass. His blog and podcast are highly regarded in the music world and have been featured as top offerings in the world of arts and culture for the past decade. Jason serves on the Board of Directors for the International Society of Bassists and is the Double Bass Product Manager for Eastman Strings. He also serves on the advisory boards of Musician’s Toolkit and Be Part of the Music, and he is internationally active as a clinician and consultant. Jason is also past president of the Illinois chapter of the American String Teachers Association. A highly decorated veteran teacher, Jason is a past faculty member at DePaul University, the University of Wisconsin-Whitewater and Trinity International University. His former students hold positions in the Lyric Opera of Chicago, Grant Park Symphony, Baltimore Symphony, and Philharmonie Su¨dwestfalen. As a high school orchestra director, Jason’s orchestras had many notable performances, including The Midwest Clinic in Chicago and tours in Peru, Spain, and Cuba.